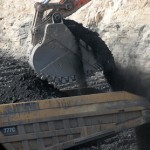 BHP Billiton hopes to fast-track the development of the Caval Ridge and Hay Point Coal Terminal Stage 3 Expansion (HPX3) projects with a $288 million investment. BHP Billiton yesterday announced the injection of US$267 million (around A$288 million) to fast-track the Caval Ridge and Hay Point Coal Terminal Stage 3 Expansion (HPX3) projects in central Queensland. According to the company, the funds will be used for feasibility studies, procuring long-lead time items and initial project activities. Caval Ridge is estimated to produce 5.5 million tonnes per annum of high quality coking coal, while the Peak Downs mine is also expected to produce an incremental 2.5 million tonnes. The HPX3 project is will increase the annual capacity of the coal terminal from 44 to 55 million tonnes per annum. Queensland Resources Council chief executive Michael Roche welcomed the investment, calling it a substantial vote of confidence in the industry and the State’s economy. “On the day the coal industry’s outstanding export contribution has been recognised by the Federal Government, this level of new investment by Australia’s biggest coal miner confirms growing confidence in global economy’s recovery and the future of coal,” he said in a statement. The Caval Ridge mine, Peak Downs mine and Hay Point Coal Terminal are owned and operated by the BHP-Mitsubishi Alliance (BMA) joint venture. Final approval for these projects is expected by the third quarter of 2011, upon the completion of feasibility studies and the receipt of regulatory approvals. 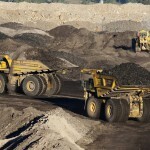 TAI says Queensland coal is the “mouse that roars”.